-Dry cleans fabric on delicate lampshades and other non-washable fabrics by absorbing dust & dirt. -Removes pet hair from furniture and clothing. -Safe for fabrics, flocking, needlepoint, burlap,velour, grass cloth, linen, cork, etc. Wash and Air Dry and Use Over and Over. Important: Always use dry. 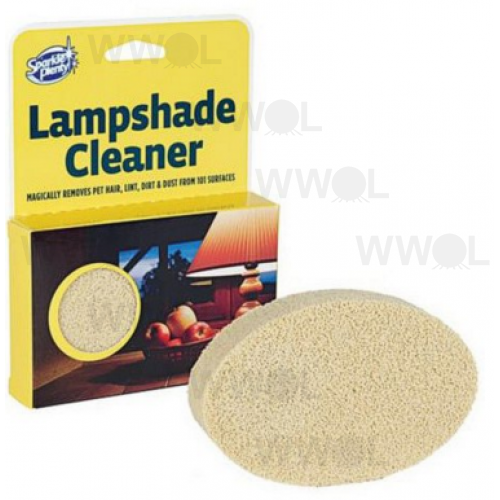 Lampshade Cleaner is not recommended for grease or liquids.